Group bookings up to 4 adults. Upon receipt of enquiry the caravan will be provisionally booked. This booking will be held for 7 days. A non-refundable deposit of £50 secures your holiday. Balance to be paid 4 weeks prior to your holiday. Late bookings require the full cost of holiday and security bond to be paid at time of booking. A refundable £100 security bond is required, payable with balance of the holiday. This covers any accidental damage and ensures the caravan is left in a clean and tidy state, as it was on your arrival. This is refunded within 7 days of the last day of your holiday (normally 48 hrs). Please include the number of adults, children and dogs in your enquiry. Our caravan is fully equipped with, microwave, kettle, toaster, sandwich maker, 4 ring cooker, pots, pans, utensils, glasses etc. and plastic plates, cups, knives and forks for children/picnics. The living room has a tv with built in DVD player, USB and HDMI ports and some DVD's, books and games for your use. Linen is provided but you will need to bring tea towels, dishcloths and towels. All bedrooms have a fitted wardrobe and the double bedroom has a tv. The living area is spacious with a pull out bed. Our holiday home is a strictly no smoking caravan (including e-cigs). There is parking for 1 car and a path to the caravan which is situated in a quiet, well lit area away from the road. We provide a meet and greet service, at no extra cost, as part of your booking! The site has an indoor pool, soft play area, arcade, outdoor play area, restaurant, showbar, launderette, onsite shop and plenty more. The reception staff are friendly and helpful and the troupers are brilliant with the children. There are camp mascots who entertain the children during the day and at special events. There's big money bingo in the evenings and a full entertainment schedule in the showbar and around the park. You will find the entertainment board with the weeks events and entertainment guide from reception. The entertainment season runs from March to November. There's a nature reserve that runs parallel to the lane, which is a lovely walk for all ages. Ocean Edge is situated on the coast with stunning views across Morecambe bay to the Lake District and Fylde coast. It is an ideal place for sea fishing from the beach and harbour walls. It is also a perfect starting point for walks along the coast and a stones throw from Heysham golf club. 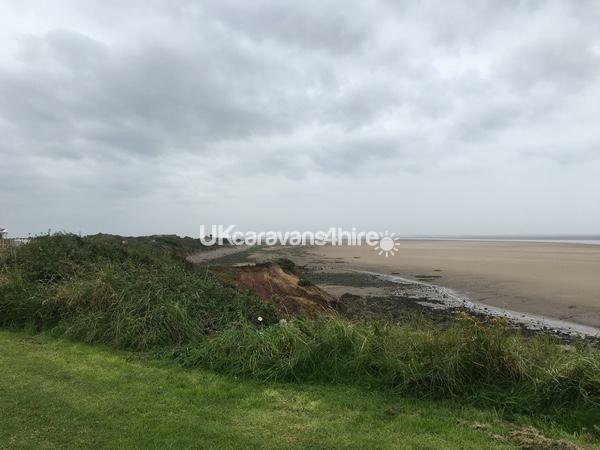 It is very close to the historical village of Heysham, Morecambe, Lancaster, Blackpool and the Lake District. If you fancy a trip into Morecambe there's a free mini bus (get the timetable from reception) where you will find plenty to do along the seafront, which has recently been modernised with lots of play areas for the children. There are many cafes, bars, restaurants and shops to visit too. Happy Mount park is ideal for all the family and well worth a visit. The historical city of Lancaster is a short drive away and hosts many, many sights and attractions, including a castle, cathedral, museums and shopping with all major outlets. Blackpool with all its attractions is approx 40 mins away and the Lake District with all its stunning views and walks is approx 50 mins away! Had an amazing few days away with my wife, child and dog. Comfy, cozy, everything we needed was there. It was easy to cook in the caravan as all the utensils, pots, pans, etc, were there. Great gas cooker too! We really enjoyed making use of the large amount of games with our boy and in the evening once the kids entertainment finished we'd come back to the caravan and enjoy a movie night as there was lots of dvds to chose from. 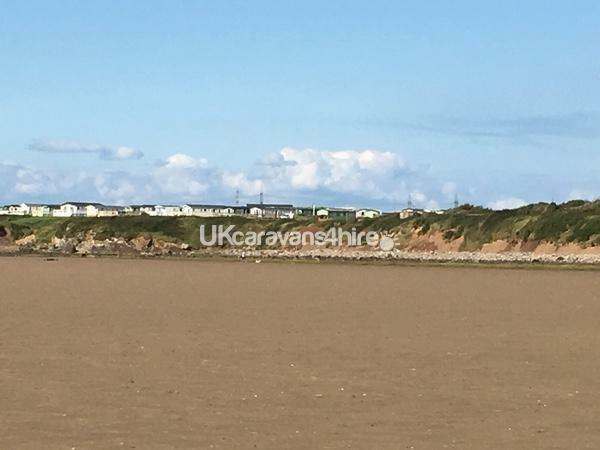 Caravan situated in a nice quiet spot with a very short walk to look out over the sea. Great for taking our dog walks along the coast too. Will definitely check availability next time we want a break. Really homely caravan- all essentials supplied. Rachel was really helpful with any queries. Lovely and clean. Would use again and thoroughly recommend. Had a great time up at the van. We was met on arrival,shown the way up to the van and given the keys. Absolutely spotless! Had all we needed toaster,kettle,toilet roll,bedding ECT. The site itself was good for everything we needed and was happy with the pitch the van is on. We asked to stay another night and luckily it was available for us to do so. We will be booking again that is if we haven't bought a van on site in the mean time! Thank you very much and we will be returning. We stayed at Rachel’s caravan with our 9 year old Granddaughter and we had a wonderful time. Thank you for the review Karen. We’re glad you had a wonderful time. Hope to see you again. Stayed for 2 nights with our grandkids. Caravan lovely and clean . Games and loads of dvds which the kids loved. Rachel was a pleasure to deal with very quick to respond to any queries . Jackie the meet and greet lady was lovely & very helpful too.Would highly recommend and will definately book with her again ???? Thank you for the lovely review Karen. We’re glad you enjoyed your stay, hope to see you again soon. We booked last minute due to the excellent weather predicted. Rachel was very accommodating and quick at responding. We met Jackie on site who showed us to the caravan. Just a short walk from the parking bay to the caravan. Loads of extras in the caravan such as DVDs, Games, books etc that we didn’t need due to the weather however our 5 year old made great use of the “Guess Who” game, he also made friends with the neighbours grandchildren whom he played with all weekend. We would have no problem staying here again. Thanks for the lovely review Yolanda. We’re glad you and your family had a great time. Hopefully we can accommodate you another time. The caravan was really clean, and had some lovely touches like the DVD collection for everyones taste, everything we needed for a lovely short break, the camp site is really clean and looked after, and the park with a bouncy castle and rides for grand kids were a bonus. Happy Mount Park just a short drive into Morecombe was a great place to visit with the grand kids. Rachel was also very accommodating with the dates she let us have, being mid week starting on a Wednesday, I was really struggling to find anyone who could accommodate us. Thanks Rachel. Thank you for your lovely review Steve, we’re glad you enjoyed your stay and hope to see you again soon. Very spacious caravan and well equipped kitchen. Close to Morecambe and within walking distance of Half Moon Bay. Great service in terms of meet and greet. A bonus to get great weather and sit outside. Rachel was a delight to deal with, even though we were booking at the last minute she did everything to accommodate myself and my family. The caravan is well equipped and she has thought of everything. There is provision of additional electric heaters should the weather be exceptionally cold. ( This is the UK) Overall we had a lovely stay, the caravan was very clean, cosy and comfortable and indeed there were numerous items made available that were outwith standard, like tea, coffee, sugar, salt and condiments, all of these small things added to making it a great family week-end, Thanks & Thanks to Jackie ( Housekeeping) for her assistance. Thank you for the lovely review Alison. We’re glad we could accommodate you at short notice. We would love to welcome you again soon. Caravan was excellent , well equipped and spotlessly clean , Rachel was quick to respond to queries before arrival and Jackie the onsite lady was lovely to deal with , good selection of kids games and dvd's to keep the kids entertained if the weather is not on your side, lots of bedding and extra heaters provided for the winter nights which was much appreciated during our stay , we'll be booking again in the future and we can recommend Rachel's caravan as an excellent place to stay. Thanks you for your lovely review Martin. We’re really glad you enjoyed your stay and look forward to accommodating you again soon. Hopefully the weather will be better! The caravan was nice and clean and good value for the money. The site amenities are good especially the swimming pool. The booking process was quick and easy. Thanks for your review Gareth, we are glad you enjoyed your stay. We hope to see you again soon. Stayed here with my daughter and 3 grandchildren under 5. The caravan was great, very clean and comfortable, everything you need like home from home. The kids loved the swimming pool and the arcade. There was plenty of kids activities in the club. Half moonbay just 5 minutes away is lovely for a walk the kids loved it. Early morning in Morecambe there is a trampoline park ideal for younger ones. Wetherspoons is great for grown ups:) crabbing in the rock pool and happy mount park are great ..all recommended by Rachel the owner. Nothing is too much trouble for her or Bob x thanks for a wonderful stay and we will definitely be back again. Thanks for the great review Colette, glad you and your family enjoyed your stay at our caravan. We hope to welcome you back very soon. Had a fabulous week staying in this caravan. Lovely location, quiet and well lit at night which was a bonus. Really nice walks in the area too. I booked this break on the last minute and Rachel was extremely helpful and replied instantly. Also the gas bottle ran out whilst I was there and I just phoned up and within 5 minutes it had been changed for me. Would definitely love to go back one day. Thank you for your lovely review Caron, we are so glad you enjoyed your stay. Thank you for being a model renter too! We would love to welcome you back one day.